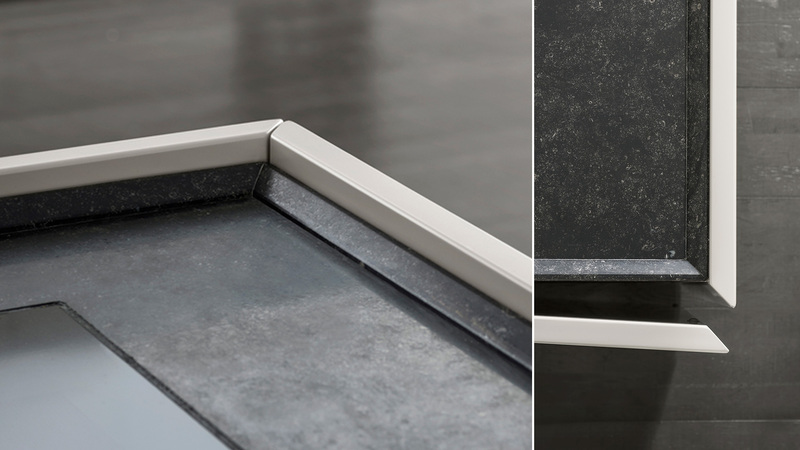 Inspired by the nautical world, the composition combines synthesis and research of details through extremely compact lines and a skilful alternation of solids and voids. 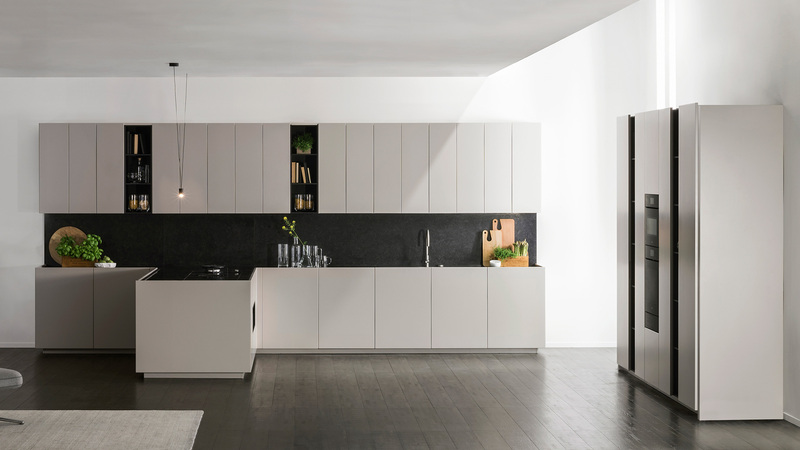 D90+ stands out for its synthesis and quest for details: it features doors protruding 20 mm from the top, creating a suspension effect and extremely compact lines. 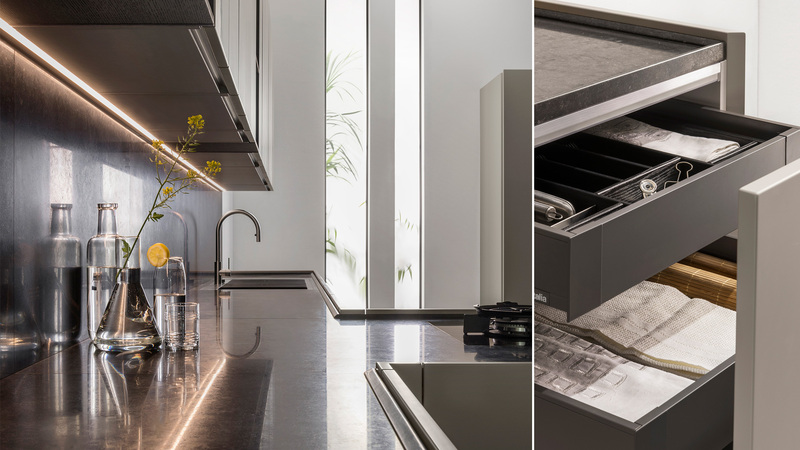 browse exclusively the new catalogue Prêt à Projet 2018SUBSCRIBE TO NEWSLETTER →The composition proposes alternating solids and voids, with open compartments and an opening in the peninsula with a pass-through drawer accessible from both sides. 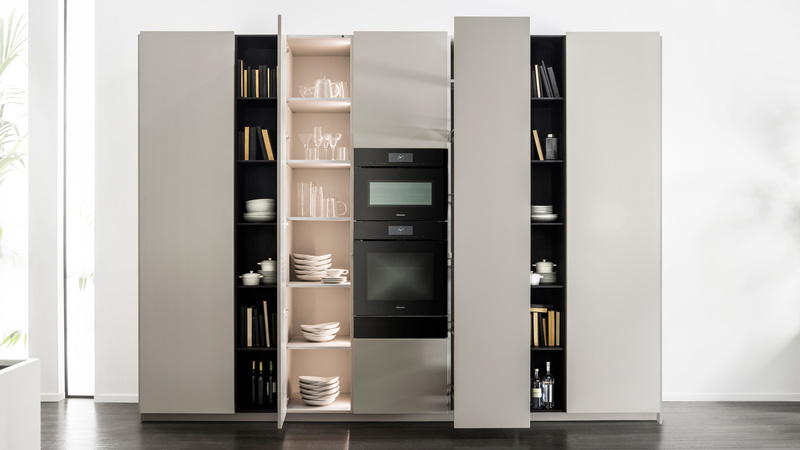 The essential features of the design are enriched by an elegant contrast between the Belgian blue stone top and the Ardennes beige sides, punctuated by the wenge-tinted oak of the open compartments. 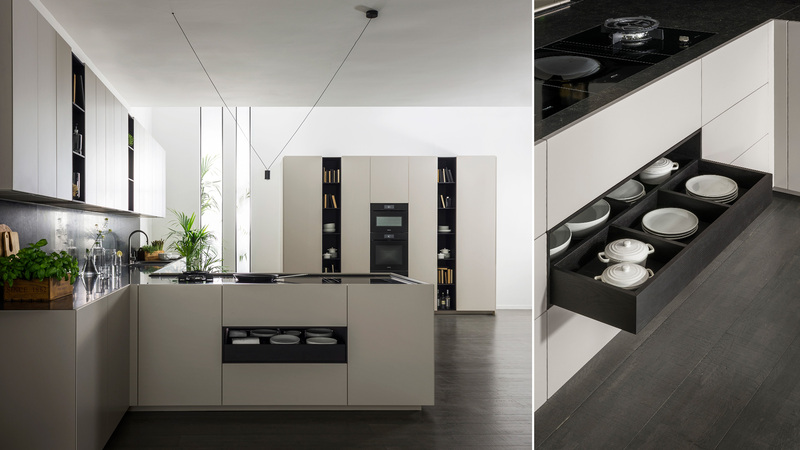 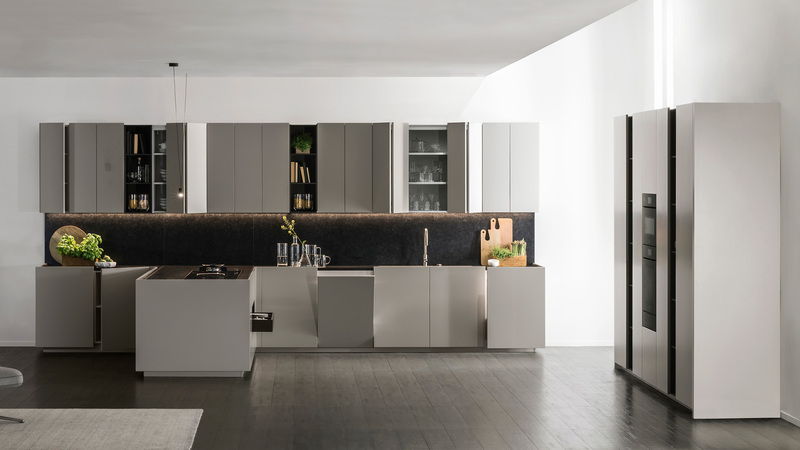 The solution presented at Eurocucina features independent columns, wall cabinets and bases with a peninsula that enlivens the composition.